For people who buy or own a home with a septic tank, there can be some confusion about proper maintenance of the septic tank and how often it should be pumped. The first most important aspect of a septic tank is understanding that a septic tank is one component of a septic system. 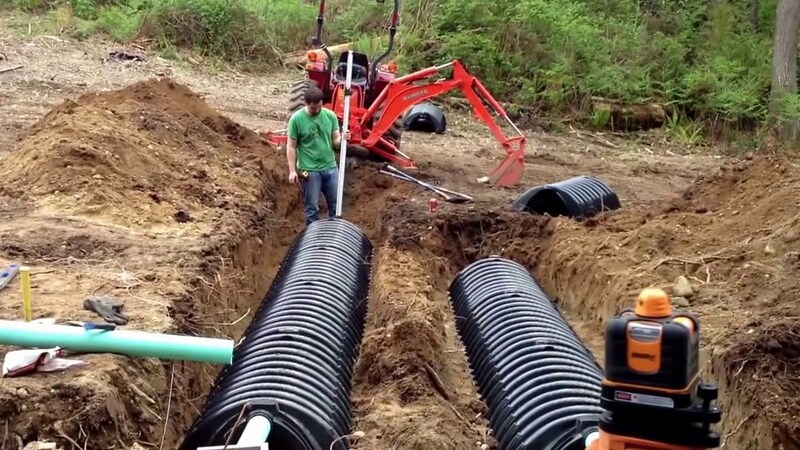 A septic system includes the septic tank, the septic piping and leach fields. Each one of these plays a vital role in the system and its functionality. At any given point in time any of these parts of the system can have problems if it is not maintained properly. Most septic systems last a very long time. However, there are circumstances that can make a septic system fail early. Water table of the land is one of the major components that ensures the system operates properly. For people who have a septic system on land that has a high-water table, there is an increased likelihood that it could fail prematurely if it is not kept up properly. This happens because the land where the leach fields are fails to properly absorb and integrate the water from the septic system processing because of excessive water in the soil. When a home has wastewater through toilet flushing, showers and laundry it must go into either a sewer system connected to a municipality or a septic system. Septic systems are common in rural areas and are the main way that the wastewater gets processed in regions that do not have a high population. The wastewater goes from the home into the septic tank and the spillover of the fluids that are less dense move through the leach fields. The leach fields then disperse the excess liquids from the septic tank into the soil. This usually consists of a gravel and soil-based area of ground with drainage piping which is the leach field. This excess drainage is then transferred into organic matter. In homes with a good leach field, pumping it out once a year is usually sufficient. However, it should be noted that it is important to not fill the septic system with things that are considered toxic, binding or bulkage. 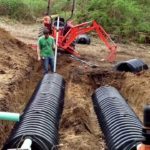 These can cause problems in the system and blockage where a home could require professional septic service Lebanon PA homeowners use for clearing blocked systems from foreign objects. One of the first most important notations is to be sure not to put non-biodegradable items into the toilet or down any drains. That means that if the item cannot breakdown naturally in the environment it is best to not place in any part of the home’s drainage system. It is also important to not place any type of chemicals down a drain. While traditional cleaners are not the problem, cleaners that have extensive corrosive ability or toxins should never be placed in any drain. Additionally, it is always recommended that no vehicle or item be placed over the leach fields or septic tank. Vehicles or heavy items weighing over 1,000 pounds can put pressure on the ground above the septic tank or leach field and cause damage to the system.